This incredible journey started via the Internet, we saw a number of minimalist new build villas advertised in Denia & surrounding area. We have always been attracted to the contemporary modern style of build, and were introduced to Grupo Sanchez, in particular Danny, the developer. Having viewed a number of potential building sites we settled on a wonderful 1150 Sq. 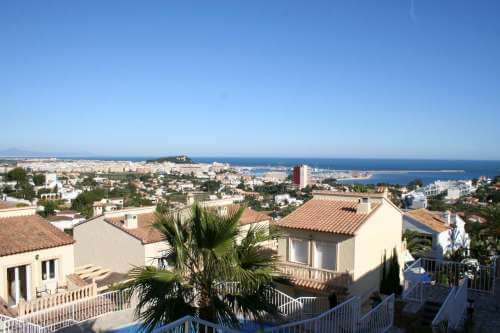 Mts tract of land, situated on Monte Pego, close to Denia with spectacular views. 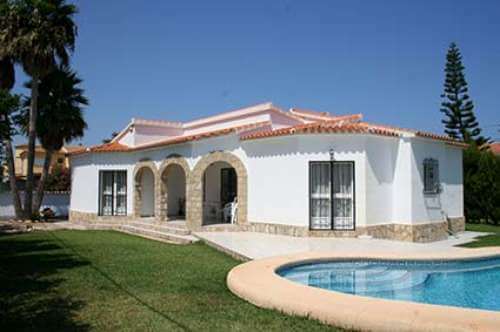 We chose the Menorca style of villa with a small number of modifications. Of importance to us was speed & quality of construction! Danny undertook to have the villa ready within a 12 month period and he managed this together with the build quality agreed upon. Throughout the period of construction we were involved by way of pictures, visits & numerous texts, it has been an amazing experience and we are both very grateful to Danny and his team for there professionalism, standards and genuine interest at every step of the construct. Nothing was ever to much of a problem & the end result is spectacular!!! From the very start we would not have contracted to build a villa in Spain without the involvement of Danny & his team as we felt secure with this partnership and have been proved correct!! We recommend Grupo Snachez as an perfect partner when considering the construction of a dream villa in Spain. 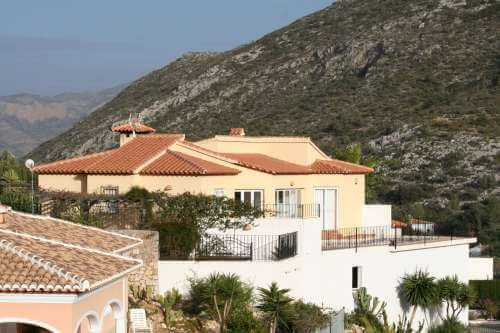 In 2003 we decided to invest in a villa abroad as part of our long term retirement plan. Our aim was to provide premier accommodation and experience to our corporate clients and friends with easy access by air and a selection of places to host events including golf courses, spas, fishing, jet skis, beaches, good restaurants etc. Over a period of several months, we carried out extensive research and visited various parts of Europe before settling on Spain and, in particular, the Costa Blanca. We found Construcciones Z Sanchez through a UK agent, who introduced us to Danny and Marta. We were shown a few plots of land before deciding in Cumbre del Sol. Danny and Marta built our present villa and held our hands through the whole process from start to finish, helping us select a villa style, make our own changes, open a bank account, appoint a lawyer, assistance with paperwork including obtaining our NIE and translating all the way. Even now, if we have any problems our friends are always available to guide us. 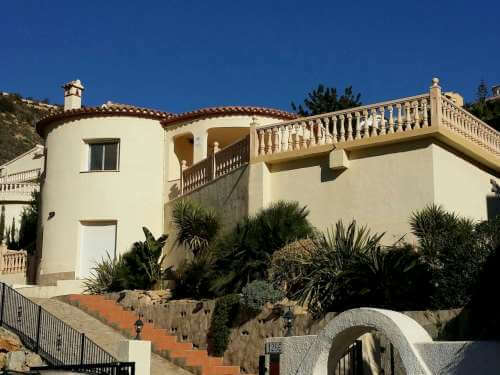 So, after 10 happy years as investors and regular short term visitors we have decided to have another home built in Denia for our full retirement. We have remained firm friends with Danny and Marta through the years so, of course, we have asked them to build our new home. Back in 1982 we met Paul and a young 19 year old Danny at an overseas property exhibition in Bristol, we subsequently took an inspection flight and had our villa built on the Marquesa in Denia. My friend and his wife also had one built next door to us also through Danny’s company. Over the years we have become good friends with Danny and Paul and their wives. We had another villa built as an investment a few years later. Then in 1995 Danny built our third villa for us in the Las Marinas part of Denia. We have had and continue to have many a pleasant holiday in our villa and would recommend Z Sanchez to anyone looking for a stress free experience in building their villa in this area. 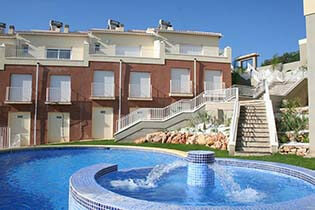 I had been going on holiday to Javea for many years as my family and I love the area. I had looked at buying many times but never felt comfortable with the people I met and then reading stories back home thought renting was just safer...then when I met Danny and his team and all that changed. He reassured me of the buying process and the time just seemed right to make the investment, so I decided to do it. After finding a plot of land I chose one of his current designed houses, he made it so easy to understand the cost and the payment plan. As the house was built he sent me pictures and my dream holiday home took shape. I have had four years of great summer holidays in the house and sill have to pinch myself when I sit there with a glass of red looking out at the Med on a warm evening. I rented the house out this year for the first time during the summer and now I have the perfect investment set up. Renting my lovely home out for 12 weeks of the year means all my costs are covered annually and I still have it free to use whenever I want during the remaining 40 weeks. It’s a perfect home, a wonderful pension fund and an idyllic haven to escape the long English winter. 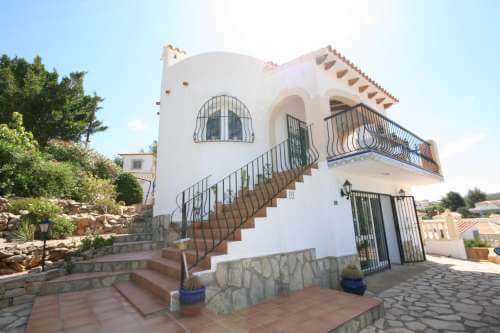 Danny is an honest, knowledgeable, down-to-earth guy who I would recommend to anyone looking to purchase or build a house, either as a holiday home or as an investment, in the Denia area. During the eighties we had a time-share in Denia which we fell in love with. We then decided that we would like a permanent holiday home there, and in 1992 Danny’s brother introduced us to Danny & Marta who we found to be very nice people, trustworthy and honest. So we went ahead with their help and knowledge and had a villa built through their company Construcciones Z Sanchez. 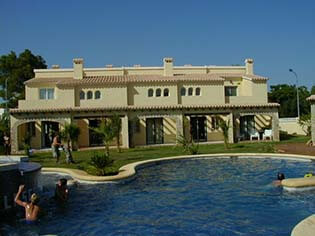 They made an excellent job of it, we would recommend them to anybody thinking about buying a villa in Spain. We have had our villa over 20 years now and still remain good friends with them both. 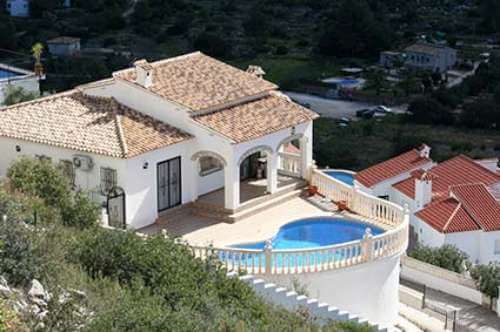 The plan was always to buy a house in the Denia region of the Costa Blanca. However, when the time was right back in 2000, finding the right area, house design and construction company was not as easy as we imagined. Too many companies were only interested in ‘signing you up’ as part of large developments in areas determined by themselves. When we were introduced to Danny at Z Sanchez Construction the approach was completely different. All conversations were ‘one to one’ and in English. We were shown various plots, house designs and small developments in and around Denia from which to choose. Throughout the build process we were kept fully informed of progress both verbally and with pictures. Stage payments were planned according to progress. Since a trouble free build, completion and move we have enjoyed plenty of all year round holidays with friends and family – most recently in retirement. One of the questions we were asked most was ‘have you any regrets and did you do the right thing?’ Well, in 2007 we purchased a second house from Danny at Z Sanchez. The excellent service, build and payment process was as before and we look forward to the next time! Anyone contemplating spending time in Spain need look no further. Denia and the surrounding area has simply, in my view, the best balance of everything that’s good about Iberia living. A working town, wonderful countryside, economical living but with great restaurants, easy access and of course the perfect weather. So who to help you with the dream? Well I chose Dan at Construcciones Z Sanchez and have never looked back. He, and his team, never gave me cause to complain. They built what we agreed at the price we agreed to the spec we agreed and within the agreed timeframe. They were trustworthy, honest and attentive all the way to completion (and beyond with extremely welcome ongoing support) and matched my every expectation. The recommended Lawyers were truly independent and professional and certainly had my interests at heart. An enjoyable experience from beginning to end. I searched up and down the Spanish coast for the perfect balance and in Denia and Dan I found it and you will too! (Please feel free to call me; Dan has my number). 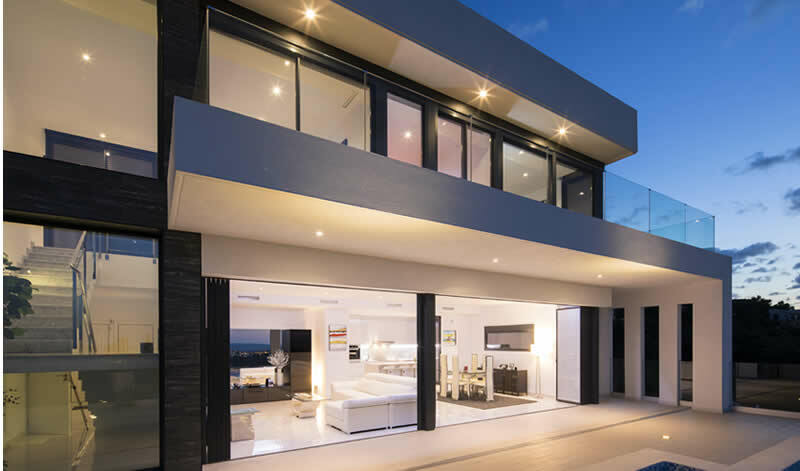 We have known Danny and his company Construcciones Z Sanchez for over 11 years, having had two detached villas with private swimming pools built by them. Our first villa was built by Z Sanchez in 2003 as a holiday home, and then another in 2007 intended for our retirement, Danny having taken our first villa as part exchange. Both villas of a different design were built to a very high standard, we are very happy with the build quality, having never had a problem. We also know of many other villas in this area his company have built and the owners are of the same opinion as ourselves. Therefore we have no hesitation in recommending Construcciones Z Sanchez for any construction work intended. Danny’s building team have always been most helpful, especially his wife Marta, who has always been there when needed in dealing with any factors that occur when buying/building a new villa. We have remained firm friends. Z Sanchez Construction built us a large villa in 2004 which we have lived in happily for some 10 years. This villa was custom designed to suit our needs and incorporates large rooms and superb views. The build quality was excellent. At all stages from build to aftercare we have had full co-operation from the company principals Danny and Marta and would recommend them wholeheartedly to anyone contemplating building a home in Spain. Our villa has been greatly admired over the years and indeed is so well appreciated locally that it currently features on the large poster at the entrance to Monte Solana. 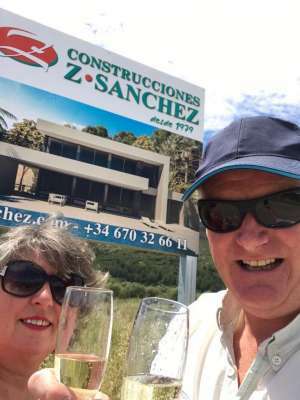 In conversation with friends in Spain we sometimes hear of a builder's shortcomings and consider ourselves very fortunate to have involved ourselves at the outset with such a reliable and trustworthy builder as Z Sanchez Construction. We have now had two properties built by Z Sanchez Construction, building a good mutually beneficial relationship in the process. From originally meeting Danny and Marta, a good rapport was quickly established providing confidence that our needs and desires would be met. A degree of flexibility was apparent, albeit within certain construction and cost parameters. This ensured an element of personalisation in the finished property. From the moment the foundations were commenced, a stream of e- photographs were sent to us in England, offering a visual aspect of progress. This facility was invaluable, giving a certain excitement in seeing one's home taking shape, particularly when one is residing in another country. Setting up interim payments was a simple process with the comfort of knowing that the required stages of construction had been met. Communication was and still is excellent with calls being returned quickly and any issues readily discussed. We first met Danny of ZSanchez Construcciones approx 15 years ago when we were thinking of retiring to Spain. We discussed informally the pros and cons of buying and eventually decided to buy Off-Plan a Toledo Style Villa. We were shown several Plots and finally settled on one of approx 1000m2. We agreed a finance and build timetable, which suited us and were given the option of slightly modifying any of the features of the Toledo we wanted. We were unable to be present during the construction but Danny regularly emailed photos of the progress so we could be sure what was being built was exactly what we had in mind. The House was completed dead on time and we were able to move into the house on the exact date we had originally planned. Over the years Danny has regularly kept in touch with us to make sure we had no problems although a few years ago we did have a minor problem, not of Danny’s making but this was settled immediately and without any fuss. We have lived permanently in our Spanish House now for over 13 years and have found the Design and Build Quality second to none. It seems testament to the reliability and integrity of Danny that most of our friends live in houses constructed by the Company and like us have enjoyed trouble free retirement… exactly what we had in mind in the first place!